So often we treat tomatoes as a mere slice on a burger or something to be tossed in a salad for colour. 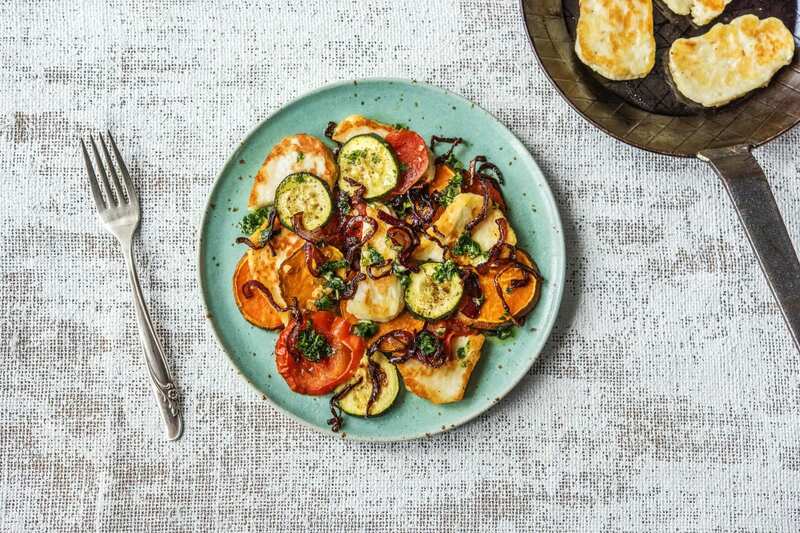 When baked though, their flavour is amplified to a really delicious degree – perfect with haloumi and caramelised red onion. Preheat the oven to 220°C/200°C fanforced. 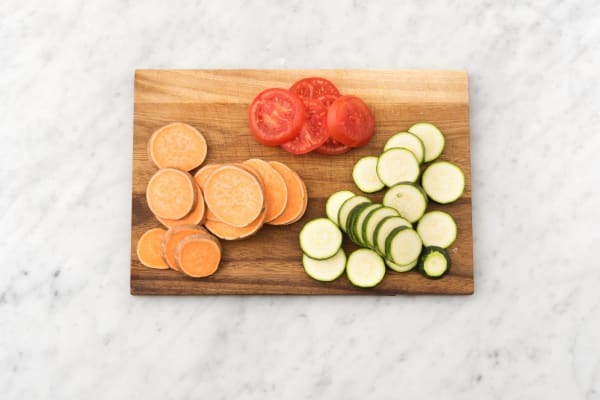 Slice the sweet potato (unpeeled), zucchini and roma tomato into 0.5cm circles. Thinly slice the red onion. Peel and crush the garlic. 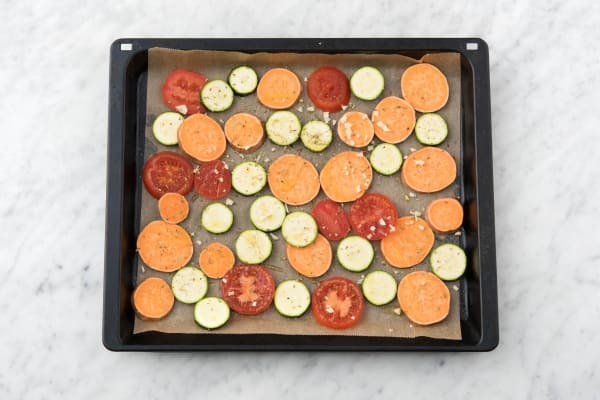 Add the sweet potato, zucchini, roma tomato, 1/2 the garlic, dried oregano and 1/3 of the olive oil to the prepared oven tray. Season with salt and pepper and toss to coat. Bake for 25 minutes, or until tender and golden. Meanwhile, to caramelise the onions, heat 1/3 of the olive oil in a medium frying pan over a low heat. 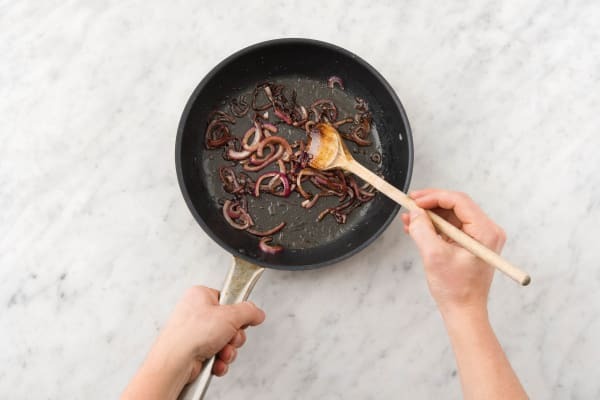 Add the red onion and cook, stirring occasionally, for 8-9 minutes or until softened. Add the balsamic vinegar and brown sugar and season with salt and pepper. Cook for a further 4-5 minutes, or until sticky and combined. 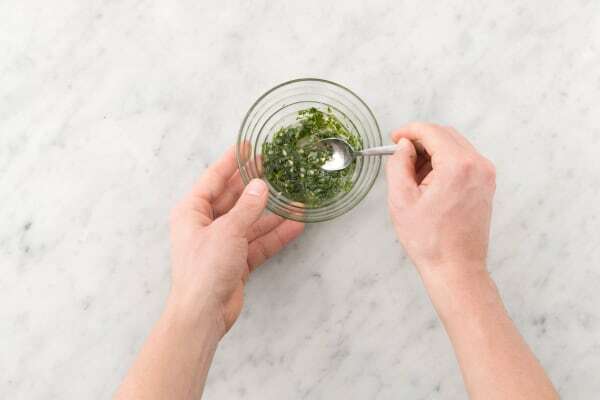 Meanwhile, finely chop the parsley leaves and combine with the remaining garlic and remaining olive oil in a small bowl. Season with salt and pepper. 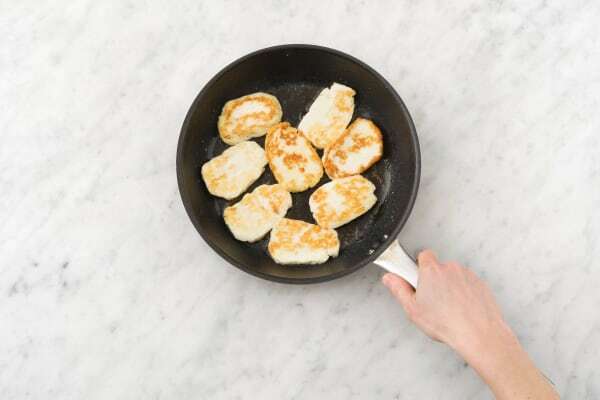 Slice the haloumi into 8, 1cm thick slices. Heat a greased medium frying pan over a medium-high heat. Just before serving, add the haloumi and cook for 1-2 minutes on each side until golden. 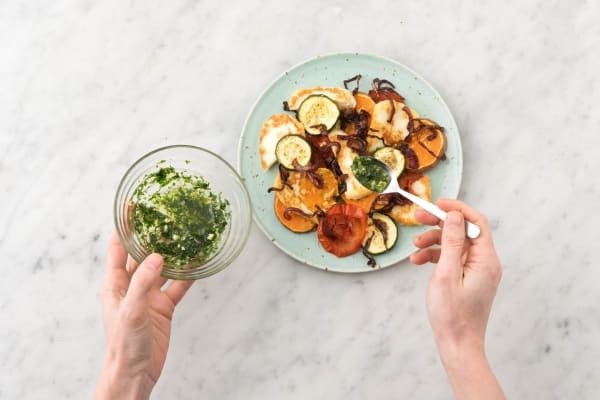 Divide the oregano roasted vegetables between plates, top with haloumi and caramelised onions and spoon over the parsley dressing.